For the ninth time in his career, Hartnell chased home the world champion Winx in an honest but vain final attempt to beat the mare in Saturday’s G1 Queen Elizabeth Stakes at Randwick. Hartnell ran bravely to finish third as Winx registered her 33rd consecutive win in what was her last race. For Hartnell the placing was his 20th in a career better than most, and one which has amassed almost A$7 million. 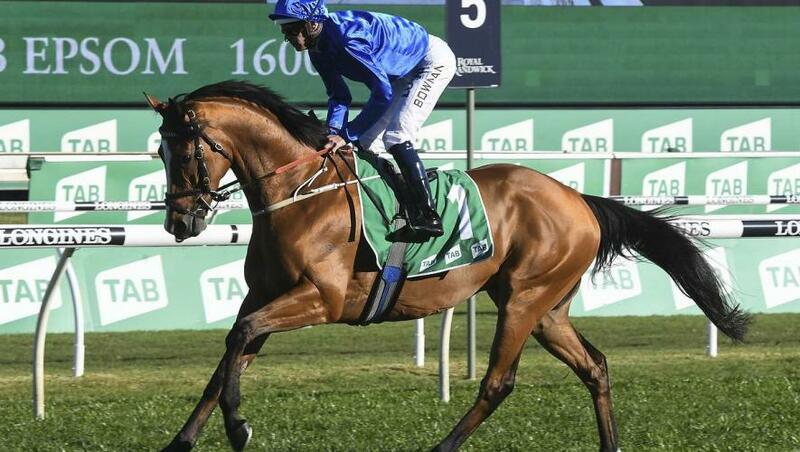 The race, the day and the racing world, however, belonged to Winx. In her final race, the daughter of Street Cry scored a businesslike victory, but a momentous one. As well as extending her unbeaten record, Winx recorded her 25th G1 win – and the 100th for her trainer Chris Waller. She also became the greatest prizemoney winner in world racing, her A$26.336 million surpassing the record of the American horse Arrogate. Winx cantered through the first 1,500m of the 2,000m contest, making her move approaching the home turn. She joined the lead at the 400m and strolled away from the field to win untouched by 1-1/2 lengths from the Japanese entrant Kruger. Hartnell was a further 2-1/2 lengths away in third place after his jockey Kerrin McEvoy had attempted to take control early in the straight. “He did his best, but she strolled past us,” McEvoy said.